Aindrila worked on the “Characterization of HCN1 – hEAG1 chimeras using electrophysiology” in Prof. Baron Chanda’s lab at the Wisconsin Institute of Medical Research, University of Wisconsin-Madison for the summer, 2017. She was using Human Embryonic Kidney Cells (HEK 293) as a model system to record the electrical properties of the chimeric ion channels consisting of critical segments of HCN1 and hEAG1 by patch clamp in whole cell configuration. This project will help her understand what is the critical portion in the primary structure of HCN1 channel (hyper polarization activated cyclic nucleotide gated channel) that is responsible for making it an inward rectifier channel despite of structural similarity with a common potassium channel hEAG1 (human Ether-a-go go1) which is an outward rectifier channel. Prerna used CRISPR gene editing technology to study the functions of certain membrane trafficking proteins in the early secretory pathway. She worked on screening cell lines for functional proteins which have a detectable tag edited into them using Western Blot and Confocal Microscopy techniques. After that, she used live cell imaging to view these proteins and understand their function. 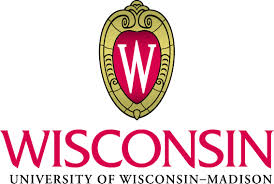 Sriraksha worked under Prof. Paul Voyles at the Materials Science and Engineering department at UW-Madison. She synthesized metallic glass thin films by sputtering. She also worked on characterizing them by nano-indentation and X-ray photoelectron spectroscopy techniques.